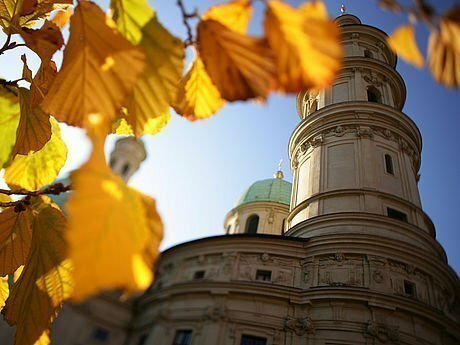 Take a walk through Graz and discover the many different sights. Graz provides an abundance of different sights and towns which you really ought to visit when you are out on a tour of the city! The cathedral is dedicated to St. Agidius. 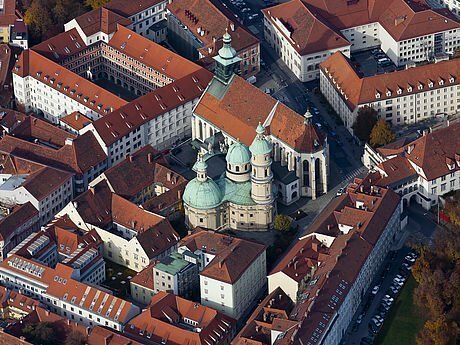 The cathedral was first mentioned in 1174 in a deed of donation from Margrave Ottokar of Styria for Seckau monastery. Upon the construction of today's St. Barbara chapel, the church became a chapel royal. In 1577 Karl II of Inner Austria presented the church to the Jesuit Order. In 1617 the bridal chest of Paula Gonzaga was exhibited as a reliquary shrine and in the same year the new sacristy was built on by Pietro de Pomis and in the 17th century four side chapels were attached. In the first half of the 18th century the high altar was built in Baroque style and the two side altars built. Both side altars were redesigned in 1766. In 1786 the Agidius church became a cathedral church for the Seckau bishops. In 1854 the connecting passage between the palace and the cathedral was demolished. In 1962/63 the cathedral church was renovated and in 1987 the new bell was consecrated. In 1998 the facade of the cathedral was finally restored. Those of you who adore pure Baroque should come to the Mariatrost. This twin-towered pilgrimage church sits regally on a hill on the eastern fringes of Graz. It is said to have been built from 1714 by architects Andreas and Johann Georg Stengg on behalf of the Pauliner order. At its core is a statue of Mary, whose miracles were widely talked about, attracting large numbers of pilgrims in the 17th century. 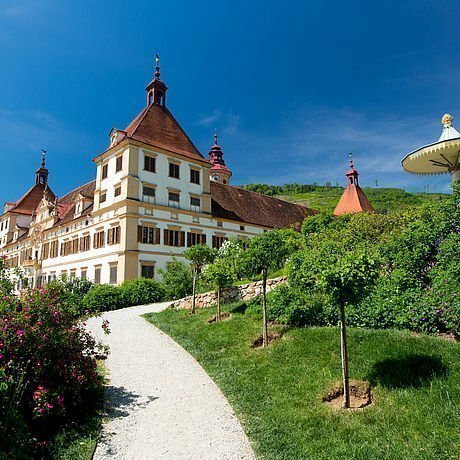 Eggenberg Palace on the western fringes of Graz is the most significant palace in Styria. Prince Hans Ulrich von Eggenberg (1568 - 1634) contracted the building of the palace, which was designed in 1625 by Palladio student Pietro de Pomis. 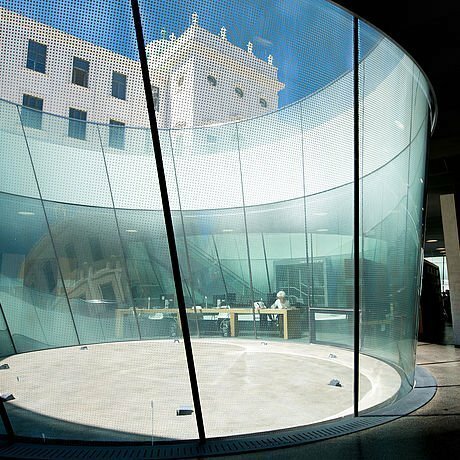 The fantastic palace, which was built using Spain's Escorial as a model, is an expression of its powerful position in the world and at the same time is a symbolic representation of its humanistic world view. The construction and the interior design are based on a comprehensive mathematical and allegorical model, conceived to show the palace as architectural mirror of the universe, characterised by natural philosophical perceptions of cosmic harmony, as taught by the thinkers of the time, Johannes Kepler and Giordano Bruno. Extra-terrestrial in the World Cultural Heritage in Graz? 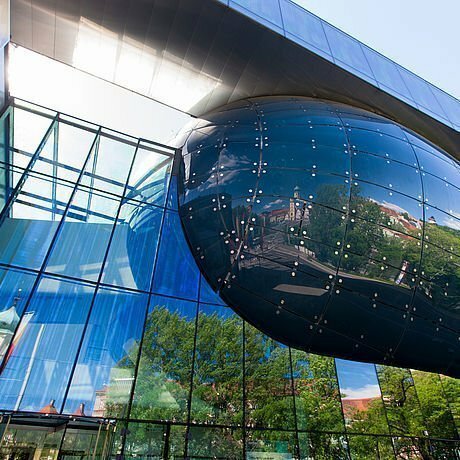 The symbol of new Graz hovers like a giant blue shimmering bubble above the right banks of the River Mur. The creators, 2 London architects, Peter Cook and Colin Fournier, affectionately call it “Friendly Alien”. The Kunsthaus is used as an exhibition space for spectacular architecture and contemporary art. And not just that - it is symbolic of the harmonious interplay between old and new in Graz. After all, it grew from the Eisernes Haus, a building which is 1848 was one of the first cast iron buildings in the continent to cause a furore. The New Gallery provides its visitors with information by way of exhibitions and symposia about the current status of art on a regional, national and international level. Neue Galerie, many years before other museums, dedicated large individual exhibitions of young artists, who are today established stars of the art scene, such as Pipilotti Rist, Sylvie Fleury and Olafur Eliasson. Young Austrian artists, not yet established in the art world, found an opportunity to show their work in the studio of the Neue Galerie. 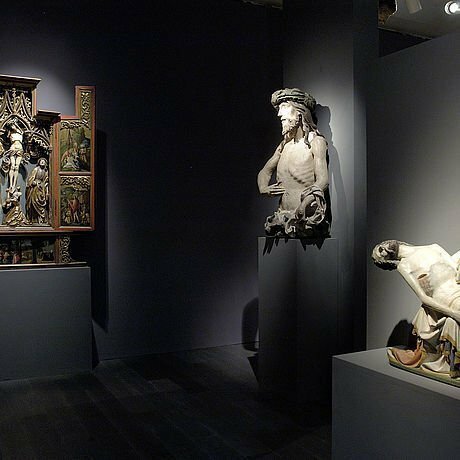 In the Hofgalerie it is predominantly Austrian classical contemporary work which is shown. The Great Theatre of the World. The pictorial broadsheet extends from the Middle Ages to the Renaissance and the Baroque periods. The pictorial broadsheet extends from the Middle Ages, conveying a comprehensive image of the Christian faith via a depiction of the veneration of the Virgin Mary, the devotion to the saints and the Passion of Christ, to first rate testimonies of the Renaissance to the Great Theatre of the World, Baroque, as Italian, Flemish and Austrian painters revealed in their paintings. The Eggenberg stage presents saints and scoundrels, gods and crooks. It is not just greatness and good that is conjure up, the folly of human behaviour and the evanescence of all earthly things is too. The unique and world-famous Styrian Armoury in Graz was the main weapon store in Styria during the Ottoman Wars. 32,000 exhibits are preserved and presented in a historic installation, including suits of armour, coats of mail, helmets, weapons and other military equipment. The military history of Styria is illustrated in a separate exhibition in the Kanonenhalle.